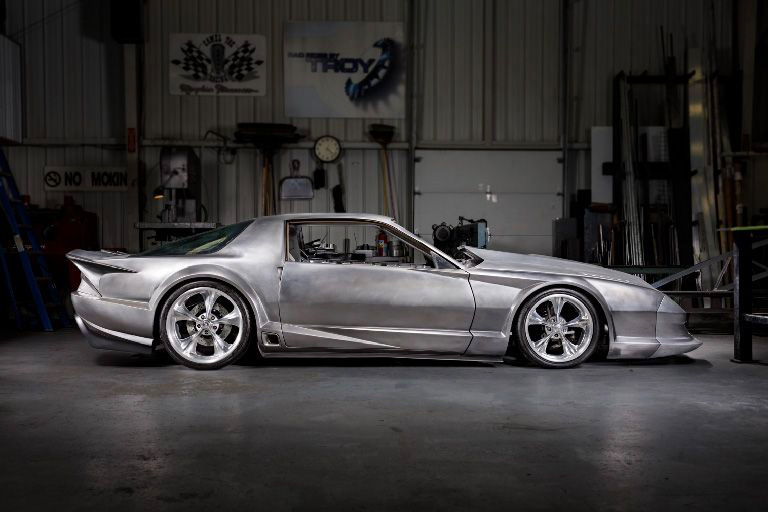 This 1987 Chevrolet Camaro is being built by the team at Rad Rides by Troy for owner Joe Lendway. 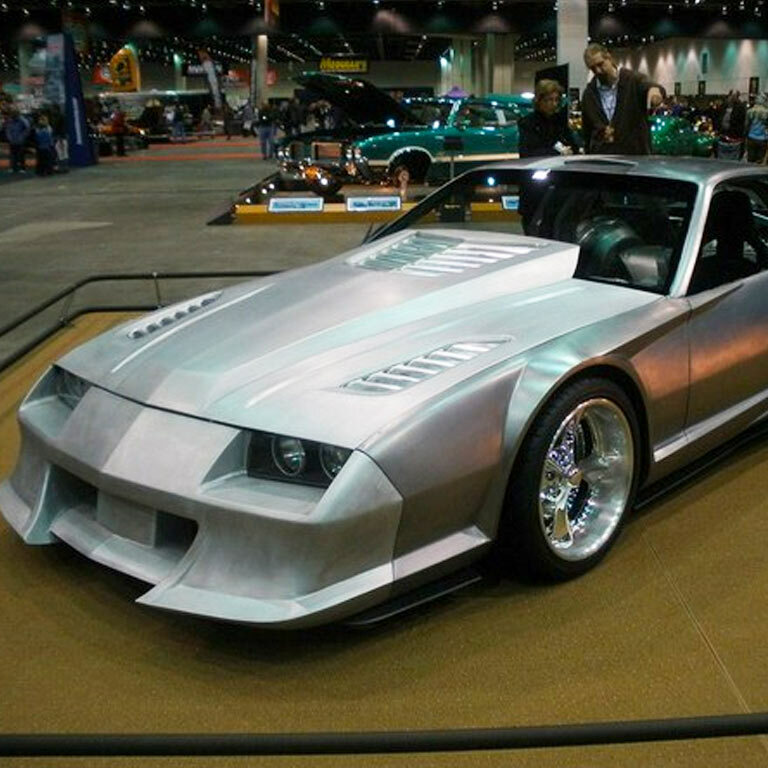 This fully custom car is truly one of a kind. Joe Lendway, an engineer at GM, originally bought the car new in 1987 and then spent some time on it by swapping motors and doing body work. 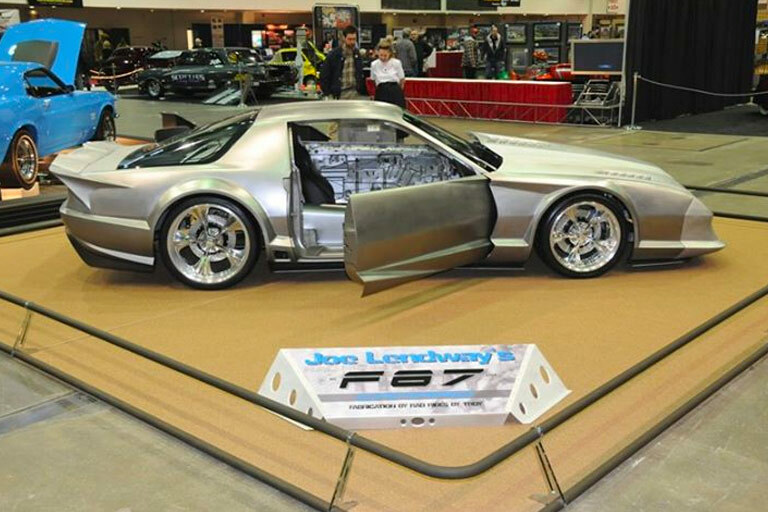 Then Joe and the 3rd generation Camaro eventually made their way to Troy Trepanier, looking to collaborate on a fresh design for the ride. What they came up with so far is the extraordinary car that you see in the photos. They took styling cues from some of the GM F Body IMSA cars from the 80’s and 90’s, BMW and Mercedes race cars, and even a fighter jet. 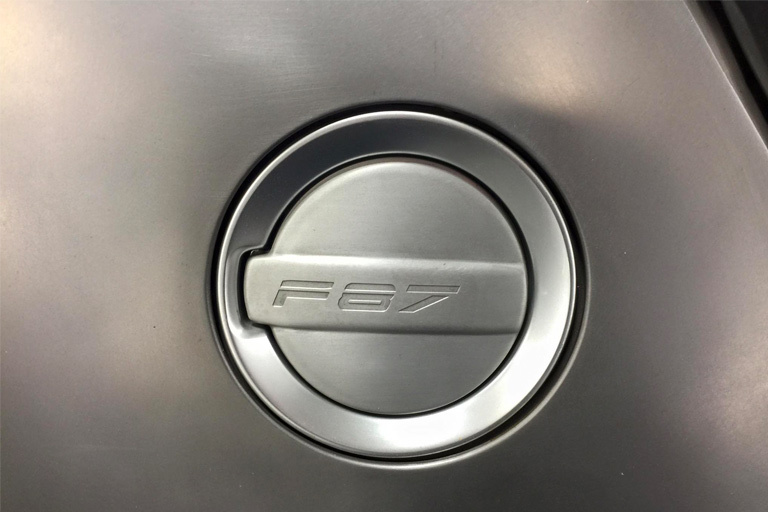 Its name, “F87”, was inspired by the Lockheed Martin F22 Raptor Stealth Fighter, which also provided inspiration for the car’s impactful design. 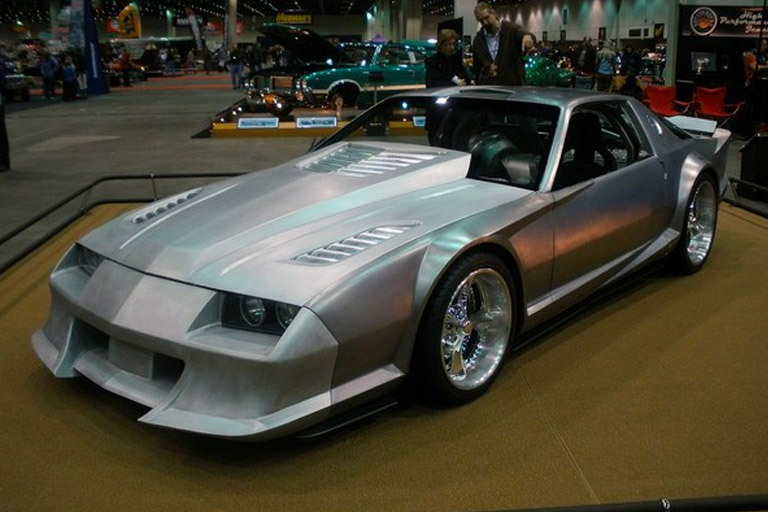 This Camaro even has an F22-style active wing that raises up at speed to provide better downforce. 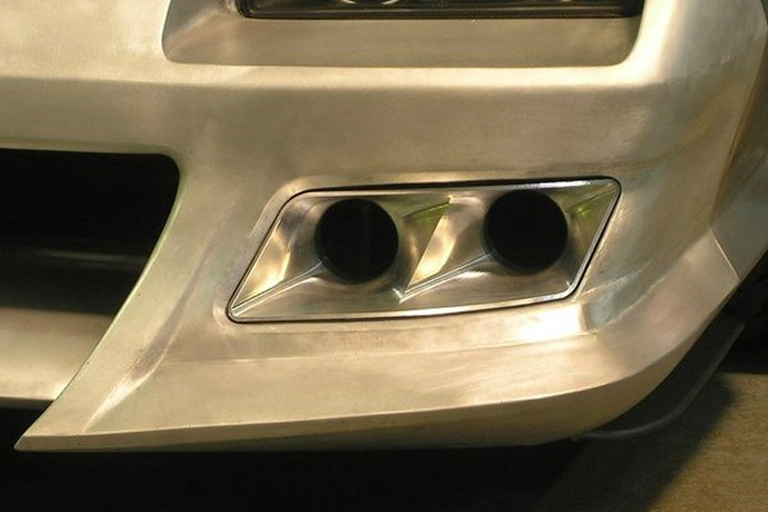 Under the hood, they went with a robust twin-turbo 441 cu.in. 496 small block Chevy engine from Nelson Racing which will provide horsepower in the 1600+ range. 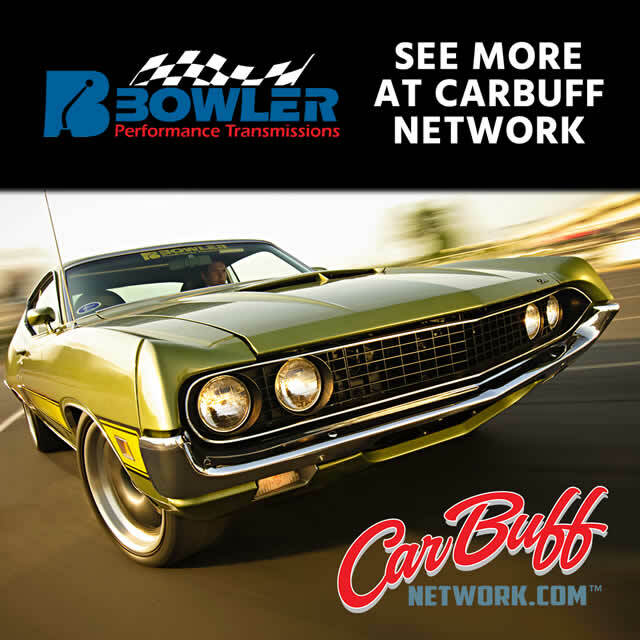 This is backed up by a GM 4L85E from Bowler Performance Transmissions. 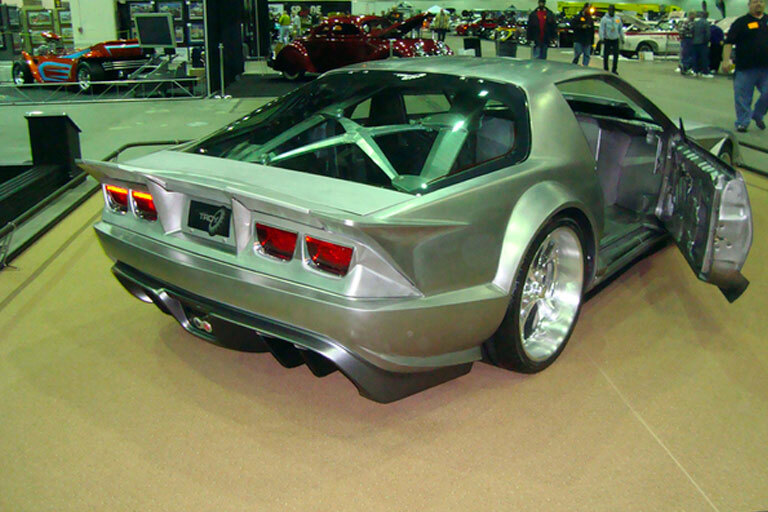 The front suspension is from a C5 Corvette with DSE Coil Over Shocks. Rear suspension is a DSE 4 Link with Watt’s Link to keep the Mark William’s Modular rear end centered up. It has a unique roll-cage that was inspired by hydro-formed Trek mountain bike frames. 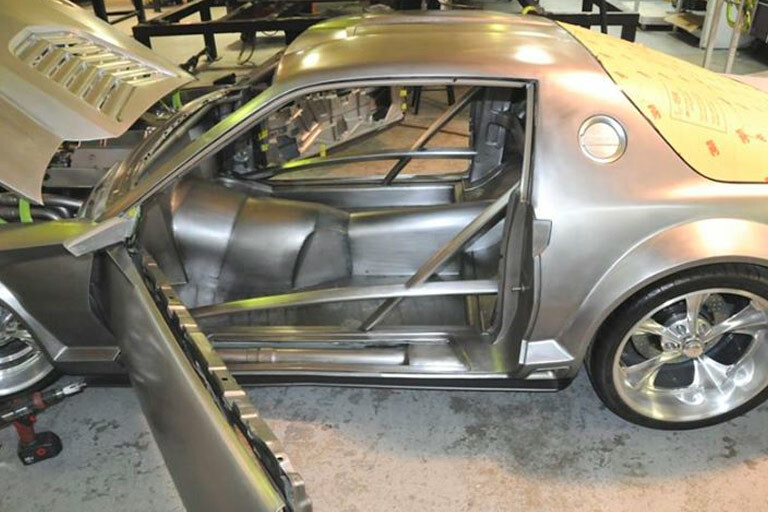 There is tons is exceptional fabrication and machining work in the F87 as well including an X brace under the rear hatch and a trick billet cover over the Fuel Safe bladdered foam gas tank. 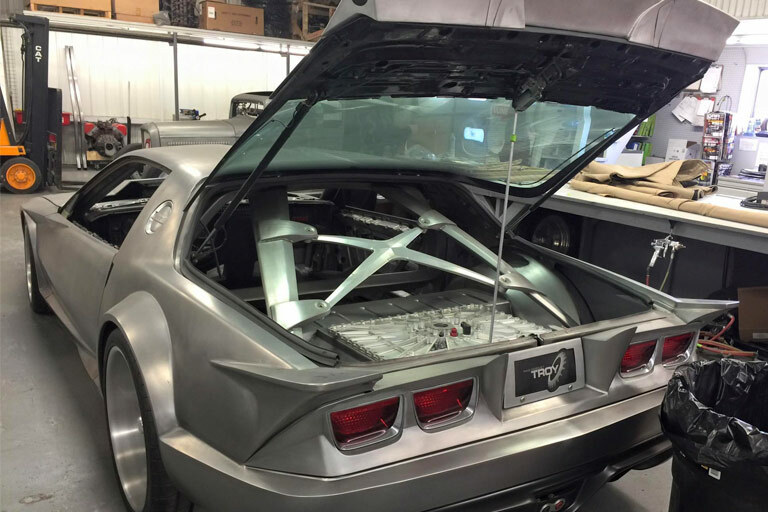 This car is actually still in the making, but what Joe and the team at Rad Rides by Troy has come up with so far is truly something to behold. We’re looking forward to seeing the final product of this awesome build sometime in the future. Great work to all that are involved!